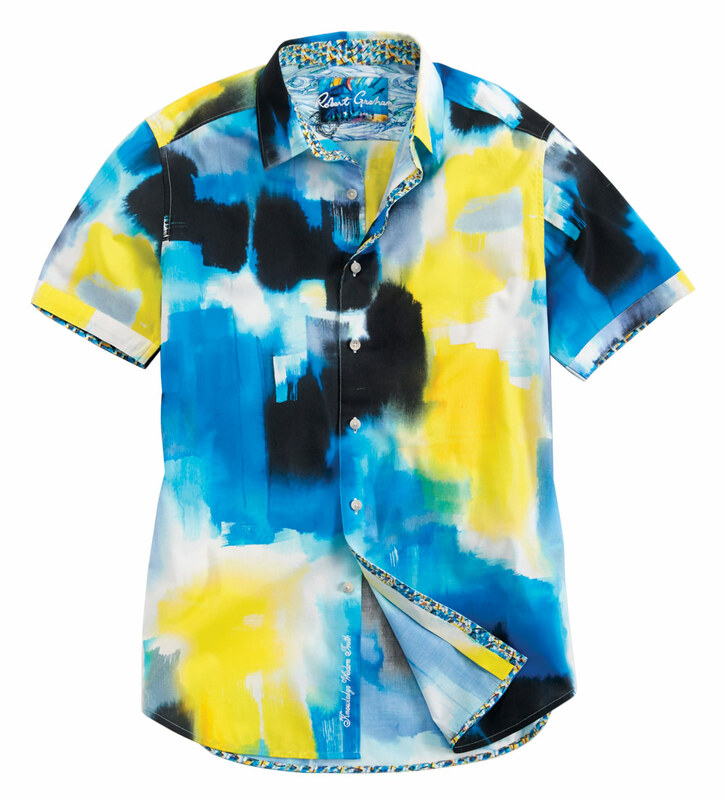 Vibrant, watercolor print on cool, stretch poplin. Classic fit, short sleeves, spread collar, contrast print trim, shirttail hem. 97% cotton/3% elastane. Machine wash. Imported.